All the great fiction books that captivate readers of all ages (as well as editors) have one thing in common: They all have a strong main character as well as a few great supporting characters. Understanding the difference between the two can help you craft more compelling stories that build a stronger story with conflict and depth. By comparing the main character vs. supporting characters, we can better understand how to weave our characters into our stories for strong character development. When you are beginning to lay the groundwork for your character development, it’s important to understand the role and importance of what your main characters play in your book. To understand how important a main character is, think back to some of your favorite childhood stories and focus for a minute on the main characters in those stories. Maybe it’s a common fairy tale like Goldilocks and the Three Bears or something you read when you were a bit older, such as The Hobbit. These characters are quite memorable if we can remember them still as adults all the way from childhood, so let’s understand WHY we still remember them! What is it about these characters that we remember them years and decades later? 2. Know your character well and be sure to write true to that character. You do not want to write anything or include dialogue that would be out of character. This will confuse readers and will also take away from the authenticity of your story. 3. No one is perfect…. And your characters should not be either. Each of us has our on flaws and short comings. By including these elements within your main character, readers will be able to identify with that character more easily thus generating a greater interest in the story. 4. Consider the Emotional Response: Your main character must have an emotional appeal to your readers. When we listen to the story of Goldilocks and the Three Bears, we can relate to the frustration Goldilocks might experience as she tries things that are “too much” and the satisfaction she feels when finding something that is “just right”. Now that we’ve gone over the important factors for writing about your main characters, let’s consider supporting characters! As the saying goes, no man is an island. We all need people in our lives; friends, family, mentors, teachers and even rivals and enemies to help us grow. Your main character needs the same thing! 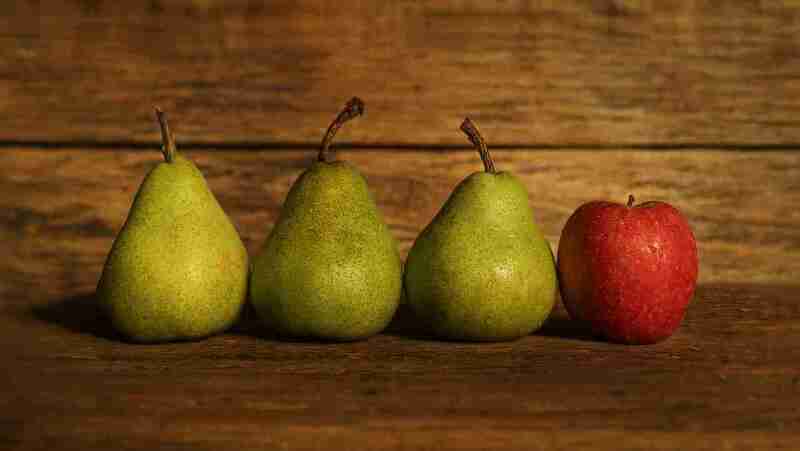 Supporting characters are just as crucial to your story as your main character. They are the ones that add depth to your story and pique the reader’s interest as they come along and contribute to or enhance to the main character’s experiences. Using our example of Goldilocks and the Three Bears, you can tell the story of Goldilocks would not be nearly as interesting without the bears! They may offer help, support and encouragement to your main character, challenge them in some way, get them into trouble, help them to learn lessons and see different points of view. Consider this image below: Who do you think is the main character? Would it be the person in the tree or the person on the ground? How would the person on the ground challenge the person in the tree and vice versa? #1. They should offer different personalities other than your main character in order to add variety and contrast to your story, thus keeping children interested. #2. They should affect the story in some way. Ask yourself, how would this story be different if this supporting character is removed. If the answer is, “it wouldn’t be different” then your supporting character is not doing his (or her) job! #3. Your supporting character should influence the character. Ask yourself what impact the supporting character has on your main character. Again if the answer is none, your supporting character is not doing a good enough job and some revising is necessary! Now that we understand the main components of Main characters and supporting characters, we’re ready to look at how each of these compare and contrast with each other. 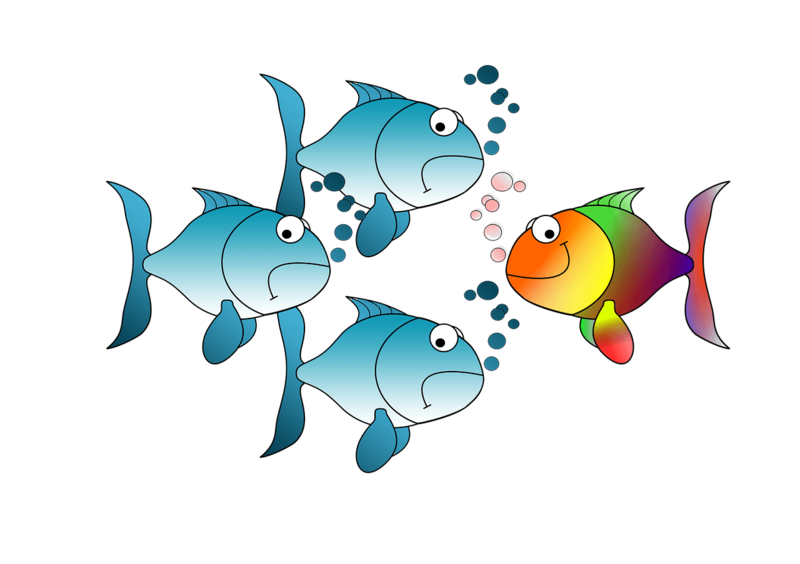 Your main and supporting characters should provide contrast and conflict in your story. All good stories have conflict. This doesn’t have to be a literal battle of course – but you cannot have a story without a challenge or obstacle for the main character to overcome. Supporting characters help create the drama and tension within the story. Think back to Goldilocks – the bears coming home is a big part of the story which helps build the tension and the conflict at the end. The bears saying things like “someone has been eating my porridge” helps build tension and anticipation in the story. Will they discover Goldilocks? Will they be mad at her? Without supporting characters to contribute to conflict, your story would be dull and likely not build up that suspense necessary for the reader to want to continue reading all the way to the end. We mentioned earlier that your main character must have some flaws in order to be believable. 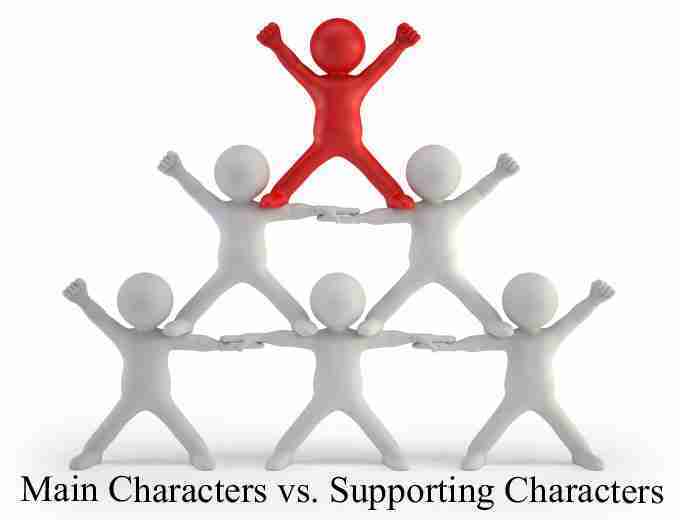 Your supporting characters need to be the same way. If they are perfect – that perfection should be conveyed in a way that it is actually a flaw. For example, a supporting character might be a complete neat freak and this is irksome to the more laid-back main character. Using character development questions can help you create dynamic characters and give them personalities that practically make them seem real! It’s also important to mention point of view when writing about main and supporting characters. The story should be told in the point of view perspective of the main character. Even if you are writing with an omnipresent point of view, you should still put the bulk of the attention on the main character in your story. Insight about the supporting characters can help build up depth to the storyline, however it is critical that you do not get too distracted by supporting characters that your main character loses the limelight. While it may seem obvious to many people the differences between main and supporting characters, often times when we actually sit down and write we forget these important details. It’s all too easy to get lost in writing a scene that we lose sight of making sure there is a healthy balance in narrative, perspective, and conflict between the characters we are writing about! In creating both strong and believable main and supporting characters, you can be sure that your readers will be able to identify with them and become invested in the outcome of the story! Do you have any insights about character development you would like to share? We’d love to hear your thoughts on how to write with both main and supporting characters in the comments section below!